Wow, what an amazing weekend we had. This post is uber-picture heavy, so I’ll keep the words to a minimum. Friday afternoon I left work early (yeah!) 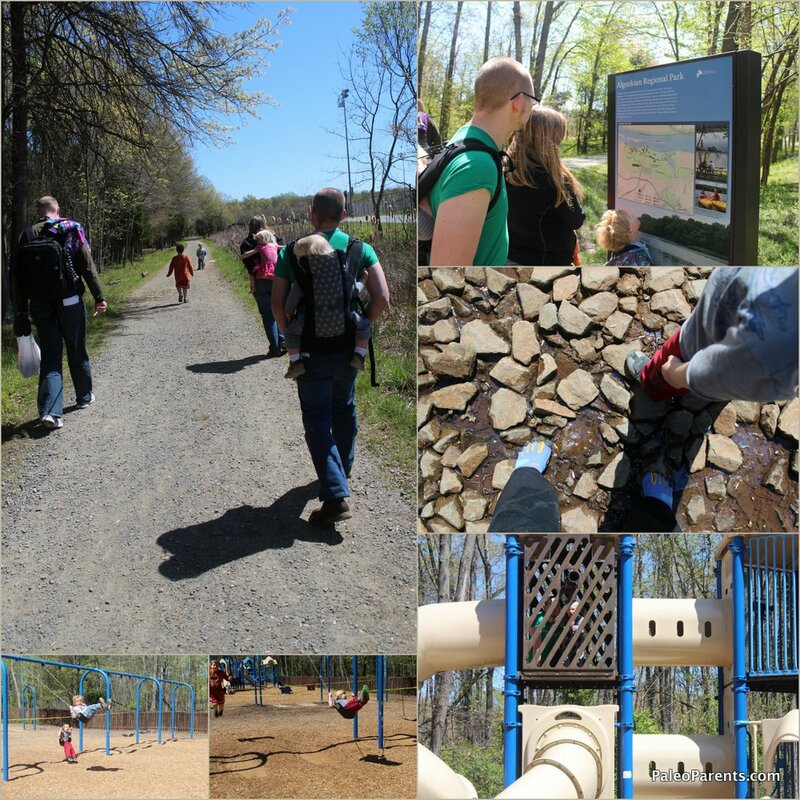 and the family headed out to Algonkian Regional Park. 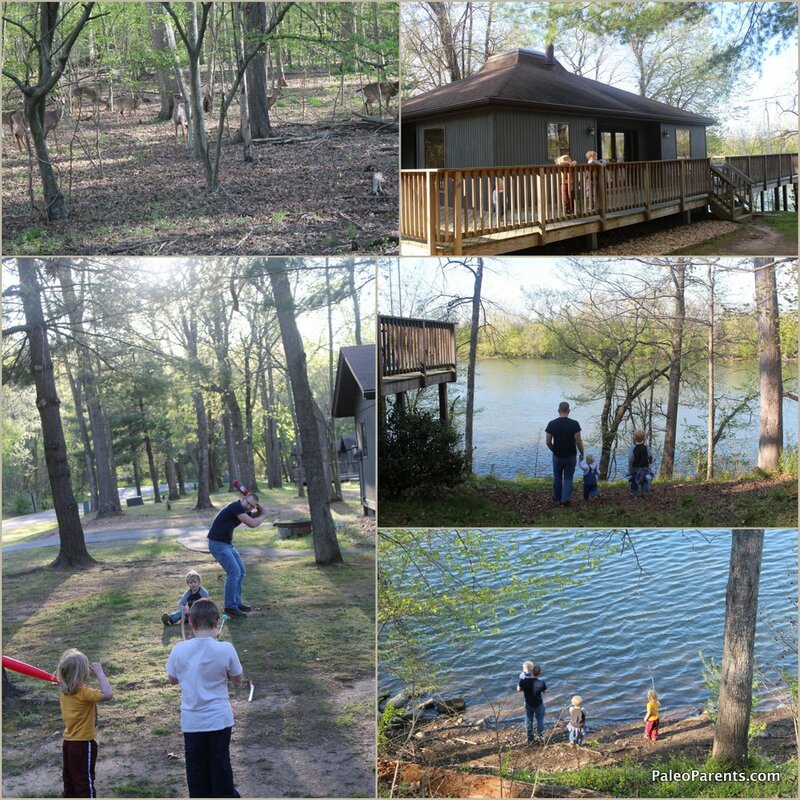 We stayed in a beautiful 4 bedroom cottage on the Potomac River’s edge. On our arrival, a family of deer greeted us! We stayed with friends (Sarah’s actually another member of the Healthy Nation Coalition and has been my guide and resource for everything gluten-free, WAPF and fermented for years). Sarah and Mark have two fun and adorable kids, Kai and Elka. 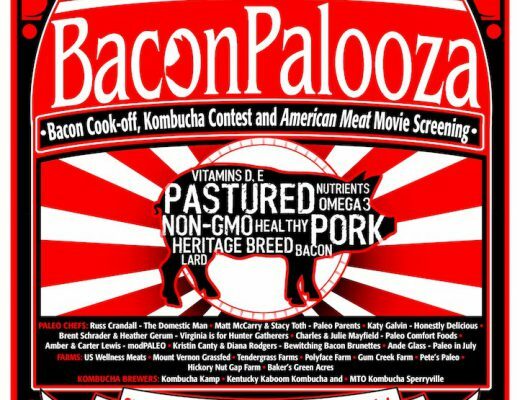 As you can imagine, the food was plentiful, delicious and healthy all weekend long (except for maybe some gluten-free marshmallow roasting)! Sarah made ELaD’s Fools Gold as whole tenders and some broccoli and baby zucchinis while Matt and I brought Halupki Casserole (also from ELaD). One dish was enough to feed ALL of us for both dinner and then breakfast (with beautiful fried eggs on top). On Saturday morning, we set-off to play a round of putt-putt golf at the Volcano Island park. We got a little derailed when we realized the course’s ponds were teaming with tadpoles and frog eggs! Shh, don’t tell the park authority but we each may have taken a few of the THOUSANDS of tadpoles home… I’m sincerely surprised that ours have survived 48 hours with the 2 paleo kitties so far. 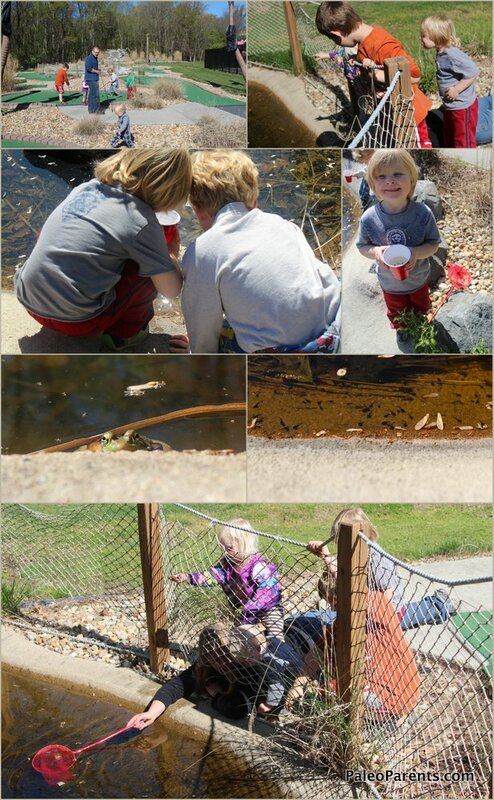 We tried our best to get one of the bullfrog tadpoles, too – but they were much wiser than the tiny brand new ones. So, survival of the fittest, they got to escape despite our efforts. We quickly gave up mini-golf and then headed out for some exploration. 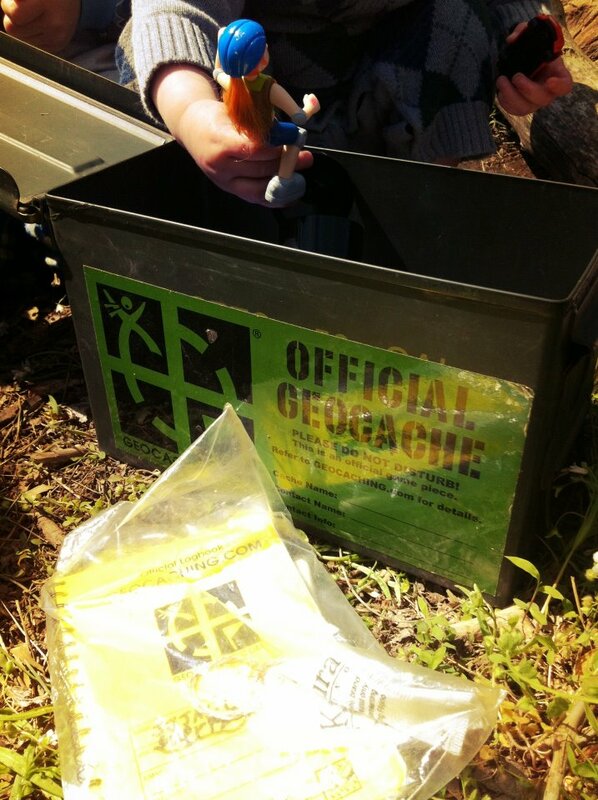 Matt and I took all but one of the kids, (who may or may not have fallen into the pond) for a GeoCaching find. It was our first ever and we were so excited to find our “treasure” by walking around the park! I was too busy wrangling kids to bring the real camera. As soon as we’d found it, the rest of the crew caught up and we headed over to the trails for a picnic lunch at the park. The hike wasn’t nearly what we’d hoped in terms of adventure level… but, it was a gorgeous day and walk nonetheless. We arrived at a fantastic playground with nice picnic tables and camped out for a few hours before Matt and I had to lure the boys away for coming home. We had to get ready for hosting Easter the next day! 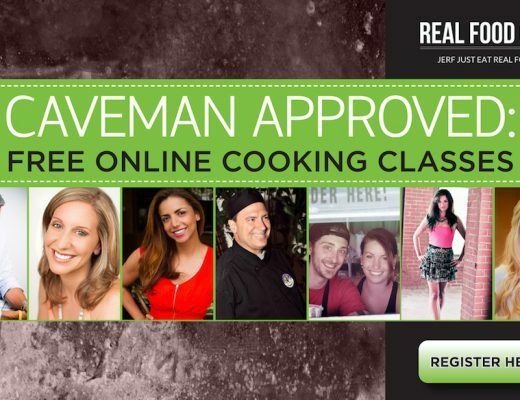 First, no – there are no homemade peeps in this post. 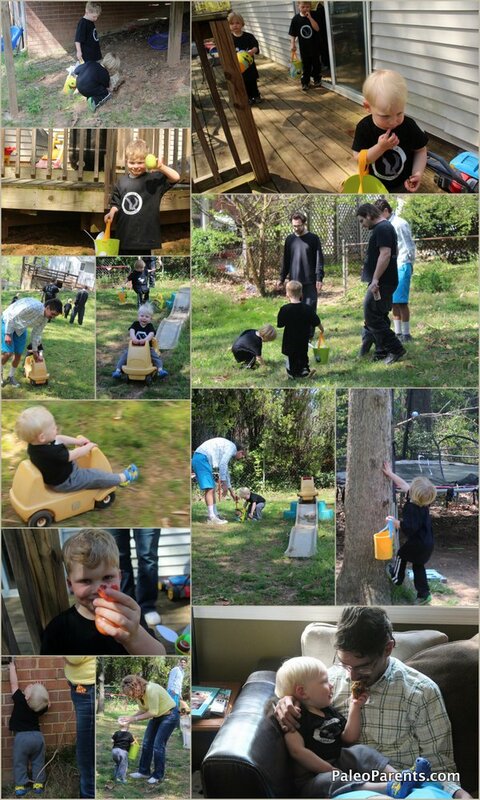 We realized we didn’t need them and took advantage of the weather and went playing outside instead. 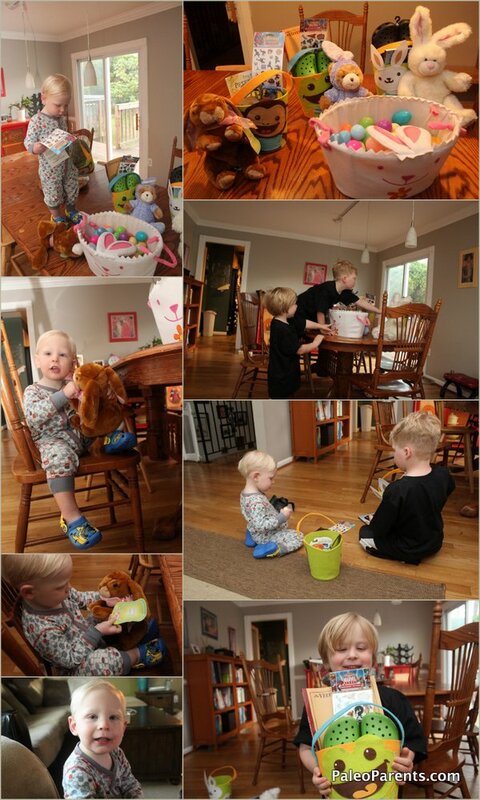 ‘Twas a good choice – because the boys were just thrilled with their candy-free baskets (a book, tattoos, silly putty eggs, crocs and a (thrift store) stuffed bunny for each of them). As imagined, Wesley was the first awake. He made his normal toddle to the kitchen for his morning banana and stopped to shout “BATMAN!” over and over again while grunting and shoving his new Batman crocs in my face. I helped the desperate almost-2-year-old get them on before I grabbed my camera – but I guarantee you the scene was adorbs. Not long after it was time for brunch. 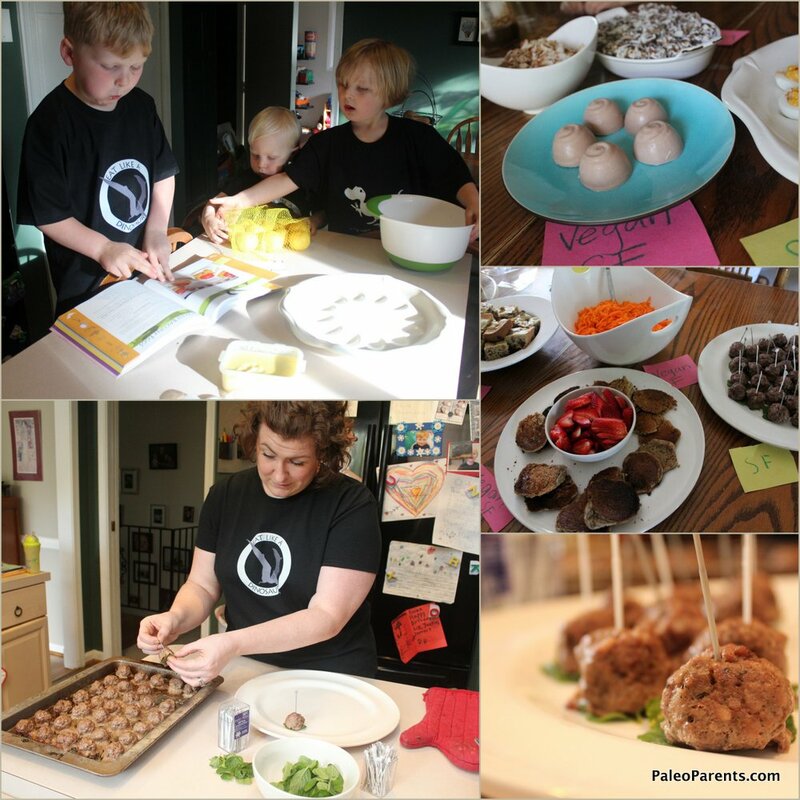 Our menu with recipe links is here, except the Mint Lamb Meatballs – which are at the bottom of this post. The boys helped make the Deviled Bacony Eggs from our book. Most of breakfast was easy to put together or made in advance, so it was mostly a relaxing morning! 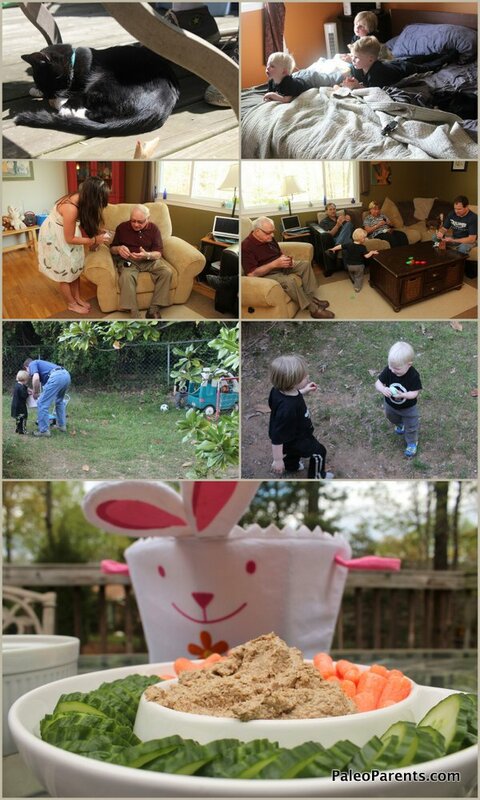 Breakfast was delicious, but not nearly as fun as egg hunting and hanging out with Uncles and Grandmas! A little too much fun, perhaps. In the afternoon, we all had to stop and take a little rest. Even our returned-fugitive-turned-escape-artist kitten, Sneakers, took an afternoon nap in the sun. The boys rested their bodies in preparation for Round 2. 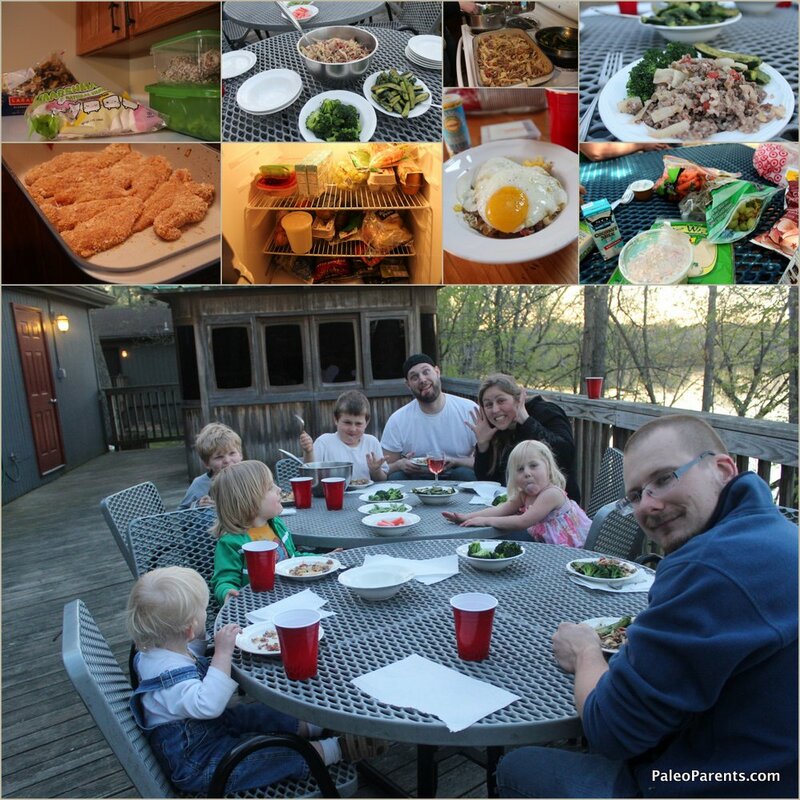 When quiet time was over, it was time for Easter dinner with my Dad’s side of the family. My sister and the boys’ great-grandfather and great-Uncle and great-Aunt even joined us. We had a special gifts made for them from my grandmother’s jewelry a few months ago and it was so nice to be able to get everyone together to finally bestow upon them. After that we all headed back outside and set out some Black Olive Tapenade (also from ELaD) while we did rounds 3 and 4 of egg hunting. This allowed Matt to finish getting dinner ready. Our friend Celia had given us some pickled jalapeno as a hostess gift for a paleo party a while ago that I’d been saving for a special occasion. Knowing I had a bunch of hot-blooded Hungarian men in the house drove me to whip together a Pickled Jalapeno Relish for them (no recipe, but it was fermented garlic, pickled japaleno, a splash of lemon and a splash of EVOO). 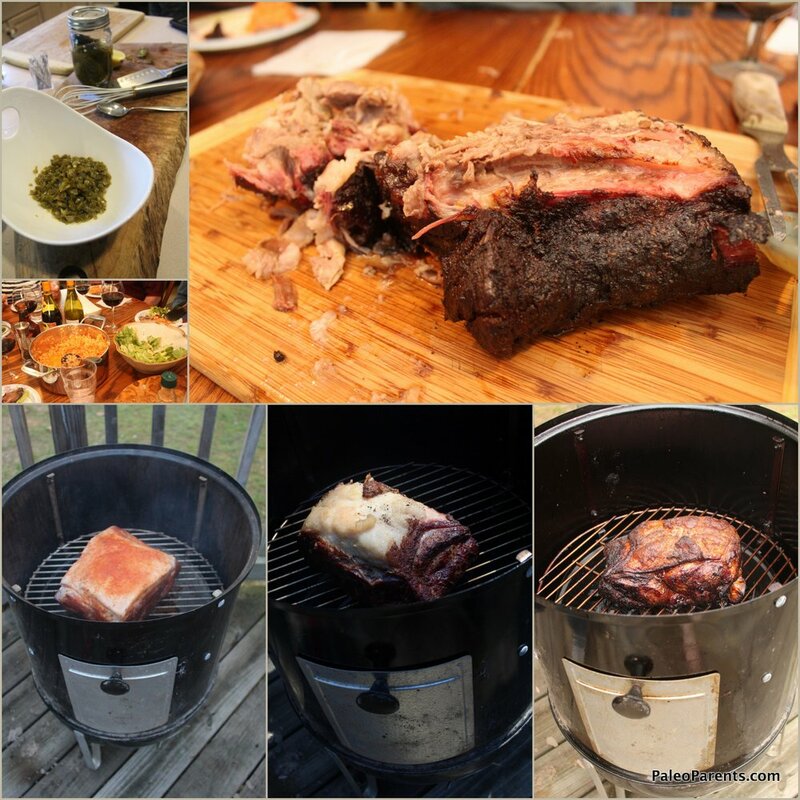 I was thrilled to hear they loved the relish on top of the freshly smoked pork shoulder (because I wasn’t even brave enough to try it after it burned my skin and eyes while making it). Between the Mount Vernon pastured pork and the new (to us) smoker, all 9lbs of the tender, juicy meat disappeared quickly! As in all our recipes, any step marked with a ♥ is perfect for little hands! Super easy and fun to make, serves 10-12 people (at least). 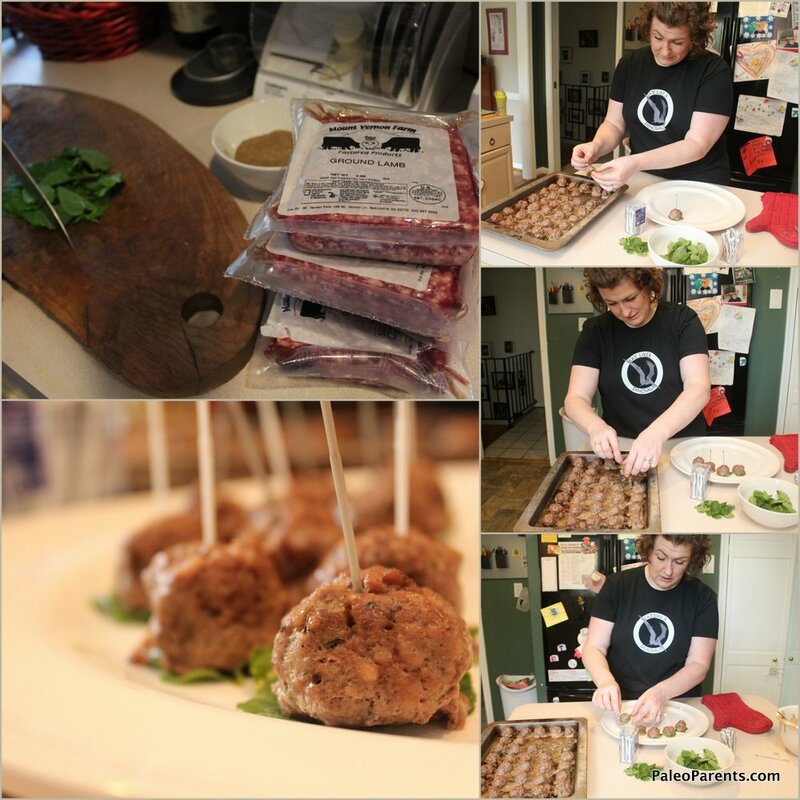 Just be careful, pastured lamb is easy to overcook – a little pink inside is A-OK! 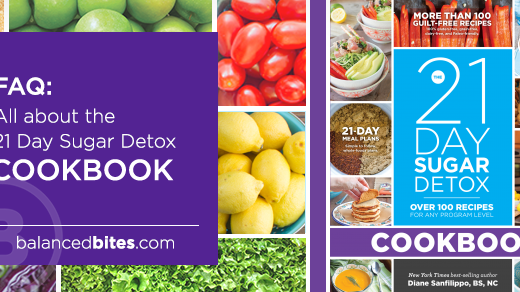 We hope you all had a wonderful weekend filled with people you love and good food to keep you healthy and happy, too!